To ensure Alpro hardware stays at the forefront of new product design and innovation, the company has launched the Vortex electromagnet range, a new generation of face to face electromagnets. The magnets are smaller than a standard slimline magnet, but combine higher holding forces of 1500 kgs with lower current draw than standard magnets, making them both more efficient and ecologically friendly. 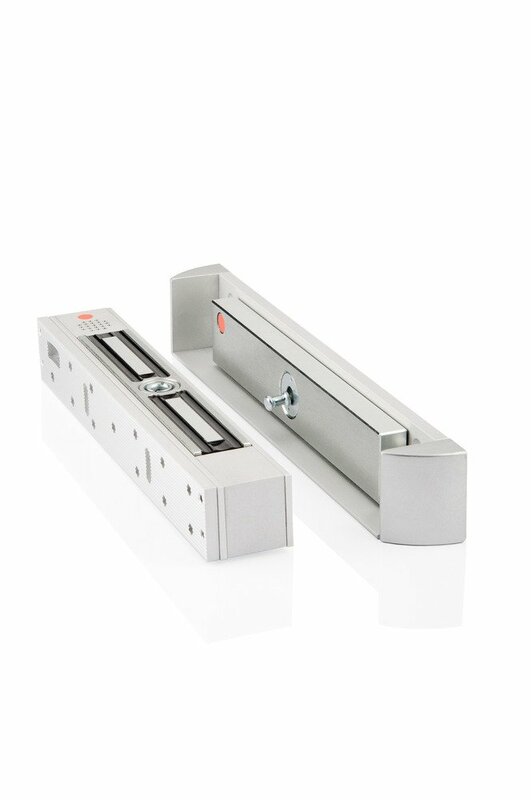 The smaller dimensions of the unit (200mm long x 36mm high x 30mm deep), mean for practical purposes the units will also fit smaller type doors and frames. Combined with a weight of 450kgs the overall design clearly shows how much new and improved technology has been incorporated in to the range whilst taking the needs of the end user into account. Keith Parry, Alpro’s Divisional Manager commented “This new range of magnets illustrates Alpro’s stated aim of giving the customer what they want. This product is not only more efficient and ecologically friendly, but is also competitively priced and stronger than the current products offered by competitors. The high holding force, which has been independently shown to be superior to anything currently in the market place for face to face magnets, ensures that this range of products will be the first item an end user will want to install”.